The dazzling stone work adorning the studs that feature a central piece of inexperienced bead additionally because the teardrop formed white stone hanging augment the mesmeric great thing about the style earrings. The simple design of this pair of earrings is definitely the best aspect of their beauty. 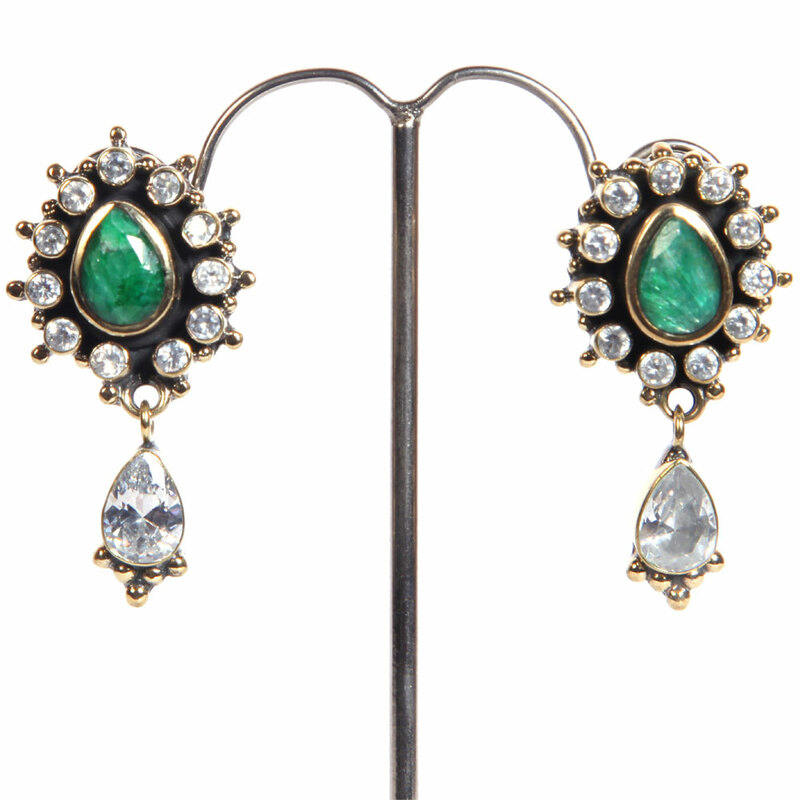 The dazzling stone work adorning the studs that feature Read More..a central piece of green bead as well as the teardrop shaped white stone hanging add to the mesmerizing beauty of the fashion earrings. Show Less..